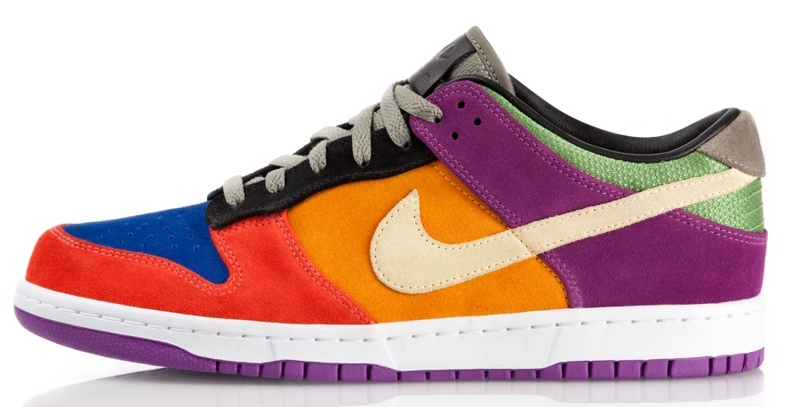 In the early 2000s, the Nike Dunk Low reigned as king of sneakers among collectors and stylesetters. Its simple silhouette made it an ideal canvas for color-blocking and ignited scores of artist collaborations, a trend that has become a staple in the sneaker industry. 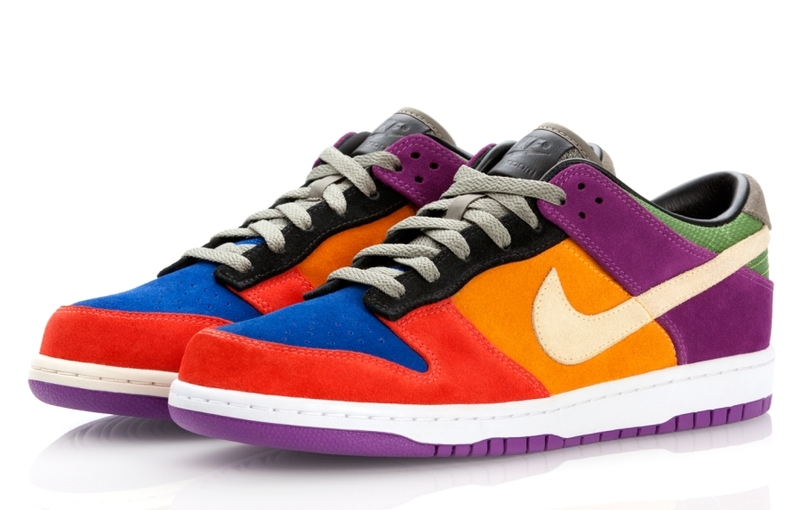 Of the many memorable Nike Dunks of the era, the “Viotech” Dunk Low Pro B stands as one of the most recognizable and sought-after. Released in late 2001 as a Japan-exclusive, the rare model was adorned with a patchwork of nearly every color in the spectrum. Now, after more than a decade, the motley, divisive Viotech makes its long-awaited return. The premium suede upper, gray laces and violet outsole are faithful to the original. Upgrades include a buttery, full-grain leather collar and insole, and a Nike Zoom Air unit in the heel for cushioning. The Dunk Low Viotech will be available June 8 at Nike Sportswear retailers.